Some days ago, I posted on Facebook “how Pokemon has generated a $440millions in less than 3 months from its #1 grossing game in the world”. Few friends were like wow! How do they actually get this kind of money. Other game companies like Glu mobile, EA games; Temple Run, Candy Crush, Angry birds etc make this kind of figures too. Although, some of these apps and game apparently offer paid or premium packages. It is obvious that you will have to purchase them before you can use them. Paid packages are normally a one time payment while premium packages are usually a yearly subscription (ex. Avast Mobile Security). What about free apps? Do they just make the app for fun? I would say that free apps and games are likely to generate more revenue. It is free for you to download and install but the developers generate revenue either through advertisements and/or in-app-purchases. You must have come across advertisements (ad). They usually come up annoyingly on your screen while playing games or using a free app. In-app purchases uses a strategy to engage users with the app or game. In Android development, there are many choices for ad libraries and networks. Some of these are Admob (from Google), Enhance™ by FGL.com and others. As a developer, your choice of ad placement would depend on the location of your user, your app category and time of release. If a user download your app/game, spends 10 minutes with your app , then you probably earn something between $0.01 to $0.10. The more users download your app/game, the more the ad views and the more your revenue increases. On the other hand, with in-app purchases, some of the core features are rated with some amount. For example, I downloaded Next launcher for free but i couldn’t view missed calls and some social apps notification counts on its app’s icon. In other for me to do this, I have to purchase that very feature. These in-app purchases are very successful in adventure games. Games that requires coins to boost your next level, recover your health, get big armors and more. $5 might be equivalent to a 500 coins and as an addicted user you must get this coins to explore more. What is even $5! Unknowingly to you, you can spend $100/month in a game. When you multiply $100 x other 1000 active users = $100,000 as a monthly revenue. That is wow! Does it sound great and simple? It is not. It requires good content, team work, market analysis and users feedback. 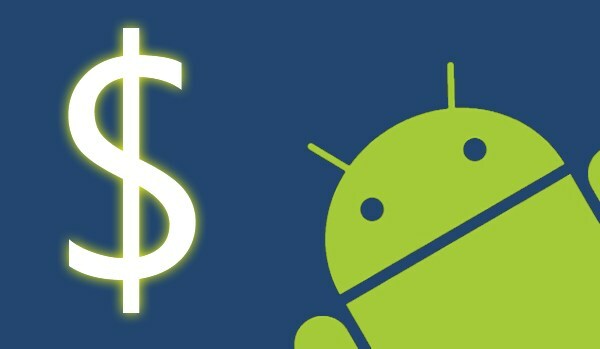 How do I make money from my apps/games? For free apps with ads, a common strategy is to have app that can remove the remove the ads. Another method is to make some features “premium” and only available after a one time purchase or subscription. When considering ads placement in your app, you should be considerate on the location target. Demographic stats has shown that the relevance of advertisements to your target user base, the demographic of your user base(clicks from US, UK and other developed countries generate more revenue than clicks from countries like Nigeria). Do not cluster your apps/games with ads that frustrate your users. This is one of the things that get users inactive to your product. Make sure you create a pro version of that removes ads. Always update your apps/games through your users feedback. You cannot really make everybody feel great about your app but it is worth doing. Your apps rating is a great incentive whether one should download them. Try and reach to their replies and what they really want.